February was a bit of a whirlwind, to say the least, and did not go as planned on the reading front. I'm still a little confused as to how it is already March...Check out what I did read below! I went into this knowing full well all the hype, and my 2018 declaration to specifically avoid hype. I expected it to be good, I expected to like it, therefore throwing aside two of my other usual cautions when going into YA fantasy. A few chapters in, I was thinking “oh no, I don’t think I am going to enjoy this.” Fast forward 5 hours of a Saturday that needed to be far more productive in house work and errands, and I turned the last page and despaired at there not being more. Safe to say The Cruel Prince was not at all what I expected, and yet met my expectations of being not just good, but to my liking. Some betrayals I saw coming, even if I did not have them completely figured out. I trusted no one, and that served me well. Well, I did trust Jude, and even she had some twists for me. Faerie is a dangerous world, and one truth never wavered: you have be dangerous to survive there. Aaaaand that's it. That's all I read. 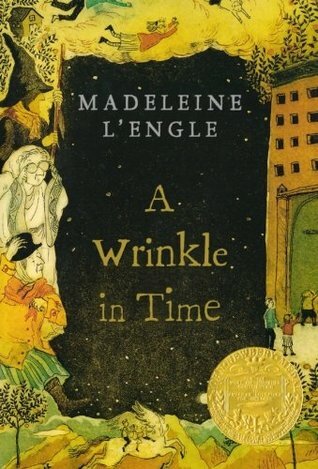 I technically did start a re-read of A Wrinkle In Time as planned, but since I'm only 50 pages in I really don't think I can count that as a February read at this point. I don't have anything on my radar for this month, but I did decide I might give one technically released in February a shot, so we'll list that one here. Caved and jumped on the hype-train, but only after another trusted reviewer marked this as worth-a-go. "Camellia Beauregard is a Belle. In the opulent world of Orléans, Belles are revered, for they control Beauty, and Beauty is a commodity coveted above all else. In Orléans, the people are born gray, they are born damned, and only with the help of a Belle and her talents can they transform and be made beautiful. With the future of Orléans and its people at stake, Camellia must decide—save herself and her sisters and the way of the Belles—or resuscitate the princess, risk her own life, and change the ways of her world forever." Started in February, but as that month passed by in a blink, it's staying on for March. My last month of driving into the office before little prince gets here, so I'll try to get this one in for my March audiobook. This is staying on as my "currently-own" read for March. I started this trilogy early last year and liked it well enough - didn't love it, but didn't dislike it by any means. Time to finish (for real this month). IF I get my act together and finish the books I should have read in February, then my new purchase of the month will likely be Reign of the Fallen. Necromancers sound like a nice change of pace from all of the fae plots (though I will always love those). "Odessa is one of Karthia's master necromancers, catering to the kingdom's ruling Dead. Whenever a noble dies, it's Odessa's job to raise them by retrieving their souls from a dreamy and dangerous shadow world called the Deadlands. But there is a cost to being raised--the Dead must remain shrouded, or risk transforming into zombie-like monsters known as Shades. If even a hint of flesh is exposed, the grotesque transformation will begin. A dramatic uptick in Shade attacks raises suspicions and fears among Odessa's necromancer community. Soon a crushing loss of one of their own reveals a disturbing conspiracy: someone is intentionally creating Shades by tearing shrouds from the Dead--and training them to attack. Odessa is faced with a terrifying question: What if her necromancer's magic is the weapon that brings Karthia to its knees?"